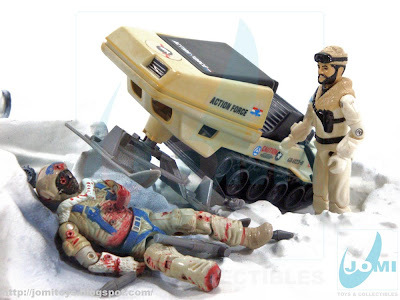 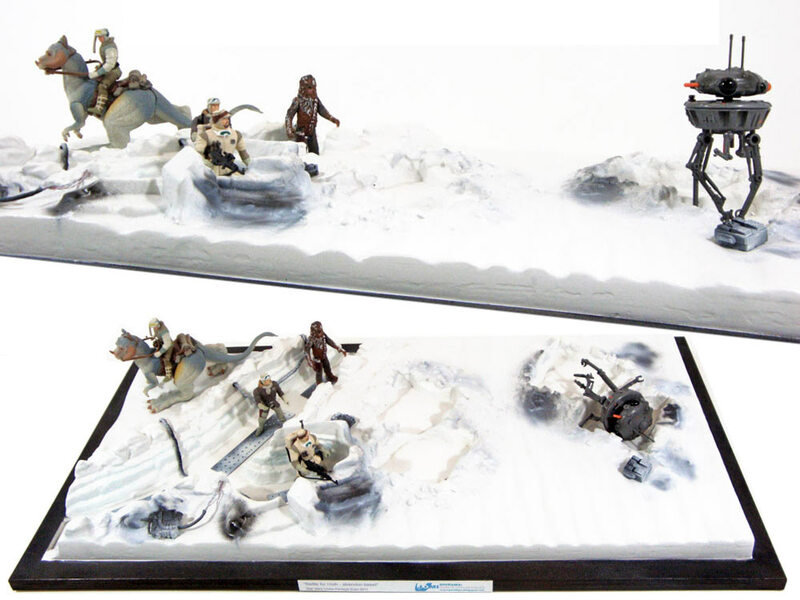 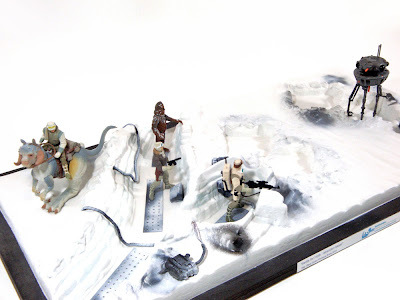 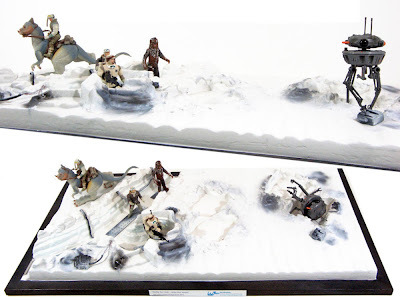 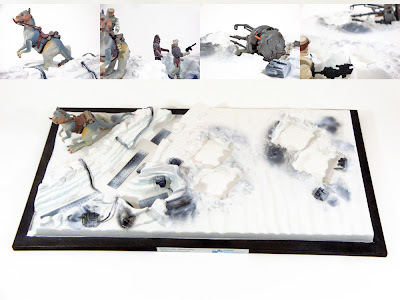 JoMi toys - under maintenance : Diorama - Battle for Hoth - Abandon Base! 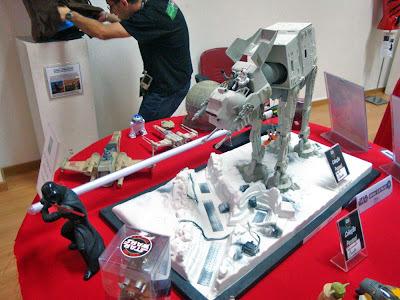 Last June, we were invited to participate in the SWCP exhibit in Barreiro, Portugal. We already had the chance to post a "report" of the event. 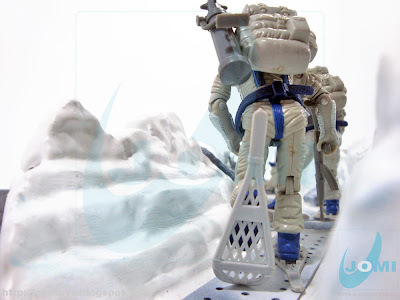 However, it´s time for a more proper review on the "HOTH" diorama prototype we took to the exhibit. 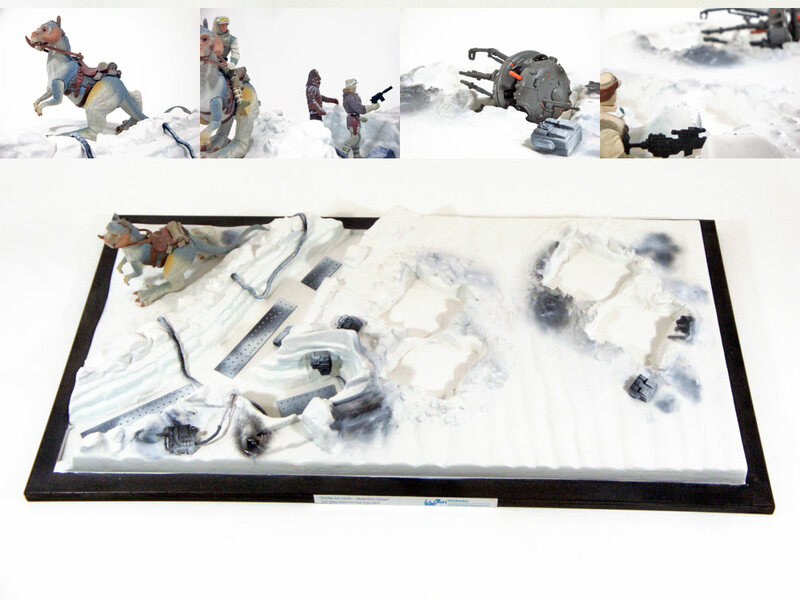 80cm x 40cm (around 16x32 in inches). 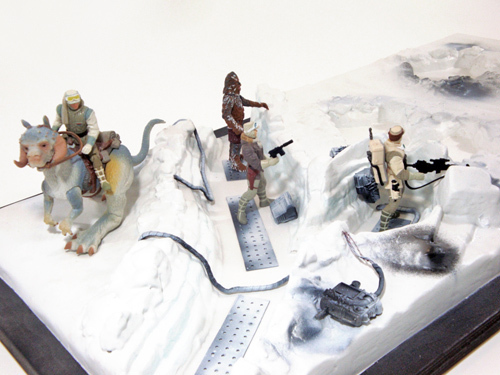 Fiberglass with Polyurethane core. 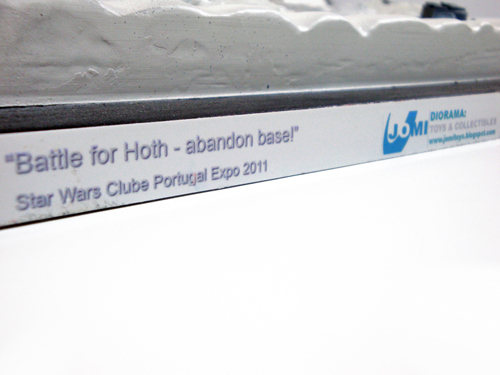 Although it is a "project in development", it was given a name and a purpose for this particular event. 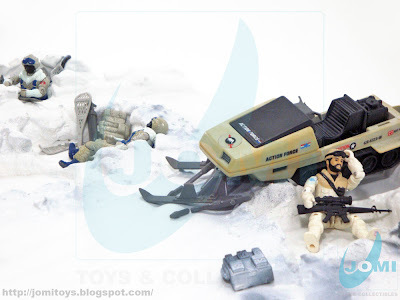 As it seems, it is fairly good for snapshots. 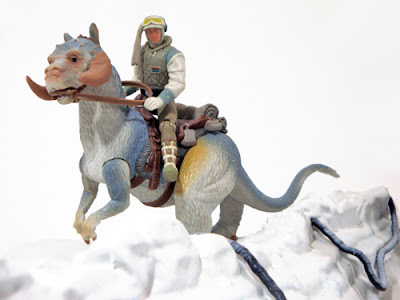 Luke and Tauntaun. 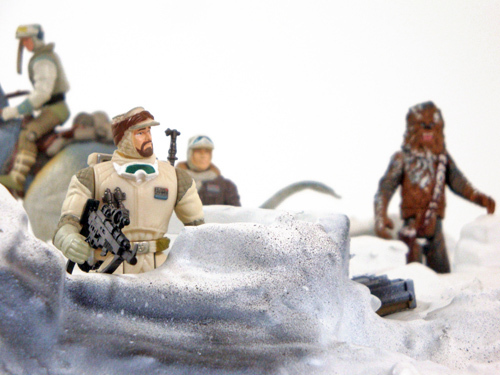 Rebel bunker position. Background: Episode I Flashback Photo Chewbacca, foreground, Hoth Rebel Soldier. 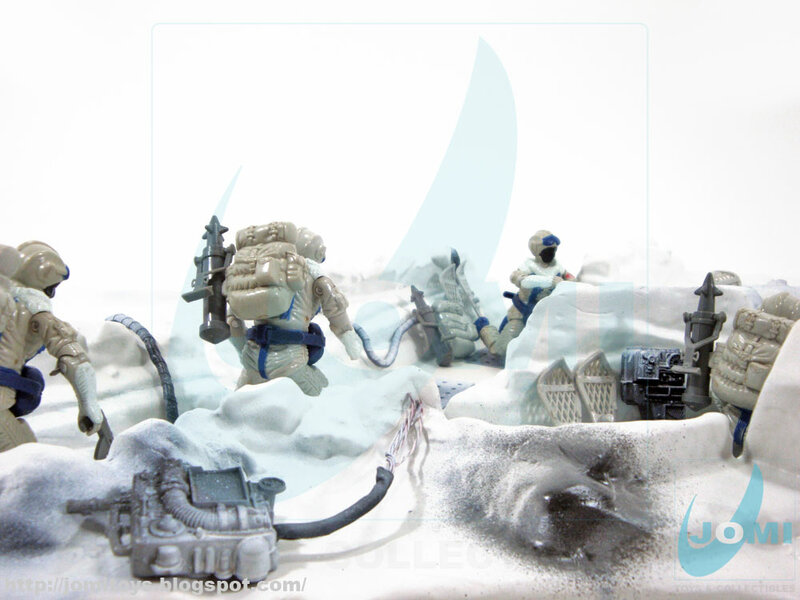 With a capacity of over 20 figures or a mix of vehicles, this set can be used for numerous action scenes. 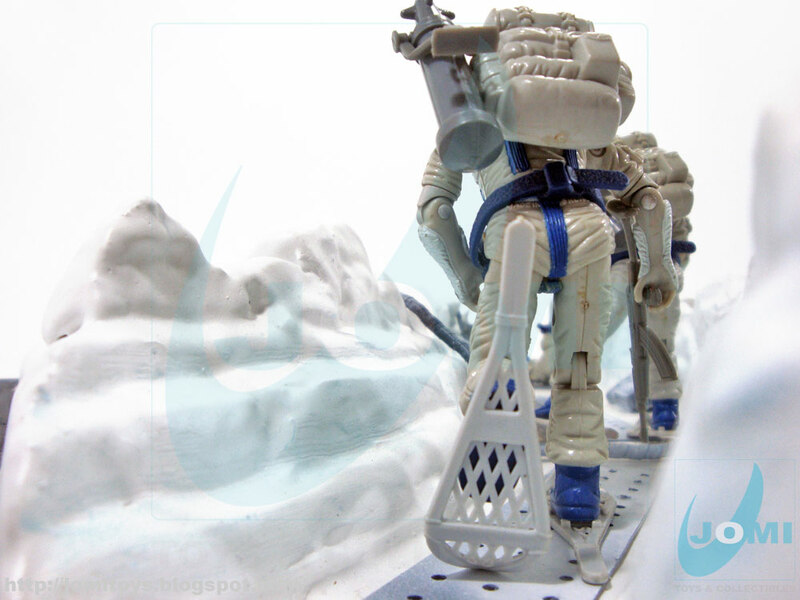 Like most prototypes, it misses some of the "production line" perfection, but we´ll get there in the future. 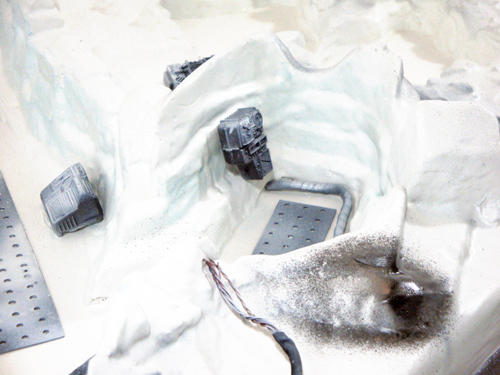 Some details were tested and the painting was basic, with some interesting results. 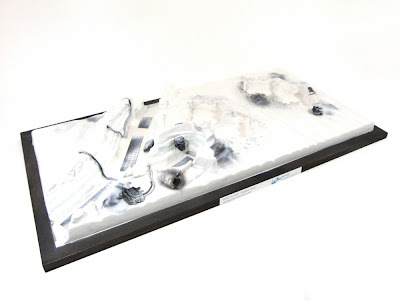 Extremely resistant and at the same time, given the calculated amount of fiberglass coating used, moldable enough to create and snap on the extra bits and pieces. 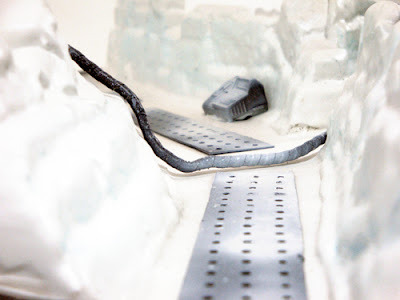 Advantages of having both designers and engineers in this "kids" project. 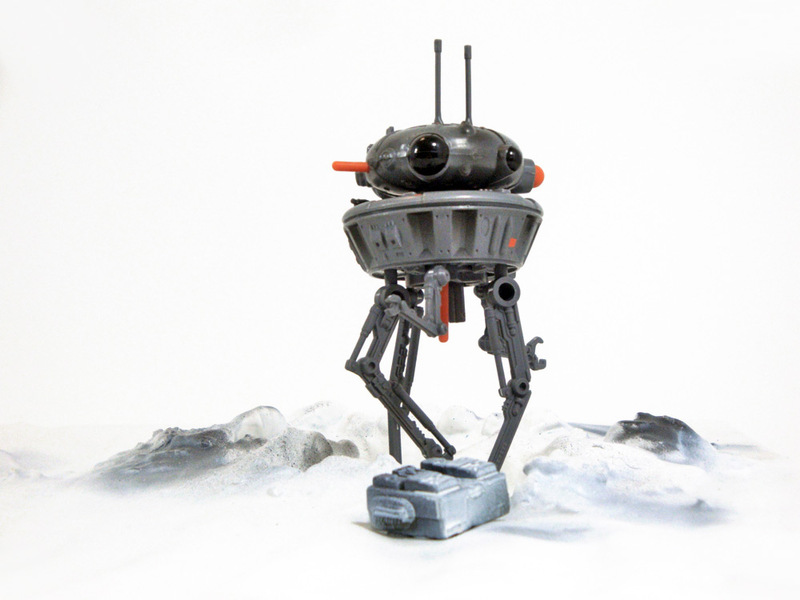 Created for the 3 3/4" scale, one has (almost) endless uses for such a "toy". Figures from Hasbro´s ARAH G.I.Joe line.